Filmmaker Sajid Khan was forced to step down from various projects after multiple sexual harassment allegations were levelled against him. Now, actor Tamannaah Bhatia has come forward to support him. New Delhi: Following the recent #MeToo movement, filmmaker Sajid Khan has been snowed under sexual harassment allegations. From actor Aahana Kumra to tennis star Mahesh Bhupathi, Khan was named and shamed by many Bollywood stars for his allegedly sexist and harassing behaviour. Though the Housefull director denied the allegations and claimed that the accusations have caused 'irreparable harm' to his career, the more women continue to come out with their stories against the actor. Now, actor Tamannaah Bhatia has come forward in support of Khan. 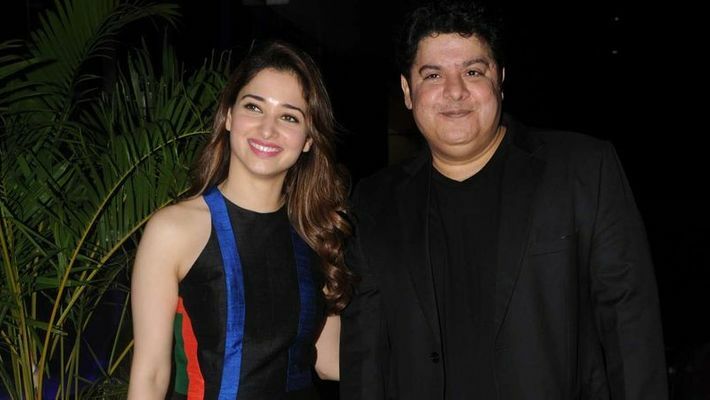 Tamannah told Deccan Chronicle, "He never treated me in any bad way and I was completely comfortable working with him," adding, "Everyone has a different experience and everybody is entitled to their own opinion and experience. If Vidya has had a bad experience, it's normal for her to react like that." She also commented on their working relationship, saying, "For me, it has always been about the script and what's the kind of film that I am working on. When I worked with Sajid, unfortunately, none of our films did well." The Indian Film And Television Directors’ Association (IFTDA) recently issued a show-cause notice to him, to which the filmmaker responded saying, "I apologise to IFTDA if any embarrassment has been caused to the association by the alleged accusation against me. These allegations have not only caused irreparable harm to my career but more importantly, grieved my mother and sister immensely. At the outset, I deny the complaints levelled against me as stated in your notice. I humbly request you to not to form any one-sided judgement. I am always happy to extend any cooperation to my association."